Download our spec sheet of the many wood window types manufactured by Seaquay Architectural Millwork. An insulated window designed for applications where the muntin bar has a minimum width of 3/4". 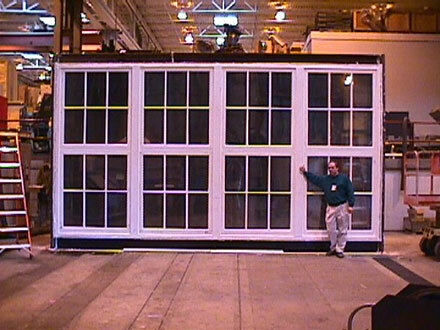 An Insulated glass window for applications where the muntin bar has a minimum width of 1-3/8". Single Glazed Window, Where Insulating Qualities are not required, or desired.